With a simple lower body core training progression, you can turn leg exercises into core exercises. When most people think about core training, they think about working the abs and lower back directly, but you can actually increase your core muscle work while doing leg exercises. This page will teach you 2 simple lower body core training progressions, so that you can work your core muscles while you're working your leg muscles. If you go to a gym or fitness center, you will find huge bulky multi-thousand dollar leg machines, but many of those big leg machines don't do a great job of increasing balance, coordination, and core strength. Think about this, how much do you improve your balance when you're sitting down? The answer is not a lot. Yet, when you look at sports or life activities most of them require you to be strong and balanced when you're standing up. When you are standing the postural muscles in your abs and lower back have to work harder to keep you stable, and if you've read my article on core exercises then you understand that the core also includes the hip girdle and shoulder girdle. When you increase, hip girdle stability you also increase core stability. The core training progressions work best with dumbbell exercises and standing exercises. Below are descriptions of the 2 lower body core exercise progressions. There are 4 steps in the first lower body core training progression. If you choose dumbbell squats the progression would be as follows: 2 leg dumbbell squats on the floor, 2 leg dumbbell squats on a core board, 1 leg squats on the floor, 1 leg squats on a core board. When you stand on an unstable surface, your ankle, knee, and hip stabilizers all work harder. And, when you stand on an unstable surface your core muscles also work harder. Standing on one leg is great for increasing balance and core muscle work. While on one foot, your center of gravity is shifted to the side, so again, your ankle, knee, hip, and core muscles must all work harder to keep you balanced. This progression is slightly different. It would be as follows: 2 leg dumbbell squats on the floor, 1 leg squats on the floor, 2 leg dumbbell squats on a core board, 1 leg squats on a core board. You can use one of these lower body stability progressions to increase core muscle work, balance, and hip stability. Standing on unstable surfaces (foam mats, core boards, bosu balls, etc..) and standing on one leg during exercises is a great way to engage more of your core muscles during a workout. In addition to adding one of these lower body core progressions to your workouts, you can further challenge your core muscles by adding in the upper body core training progression also. 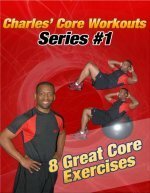 With the upper body and lower body core progressions, you can turn arm exercises and leg exercises into core exercises.